The Southern Cross is a beautiful classic sailboat that dates back to 1962 and was built by order of the English Royal Family. 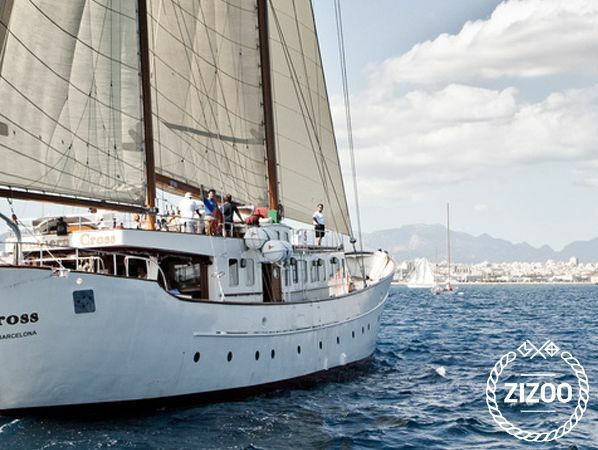 Its manufacture with exclusive materials and designs earned it the title of best ketch the same year of its construction. During this time, it has been owned by such outstanding figure as Frank Sinatra, and is currently in Barcelona for luxury event rental. We are proud to have the Southern Cross as part of our fleet; this delight of sailing is a luxury you don’t want to miss.